ESP has just celebrated our 1st ESP seminar ‘Global Learning through ESP’ in Lisbon, Portugal from 3rd to 6th November 2016. At the seminar we visited two schools where were able to make contact with teachers and students. We had a keynote speaker from the UK talking about Global Learning ad eSafety in schools. Next to there were different workshops on f.e. 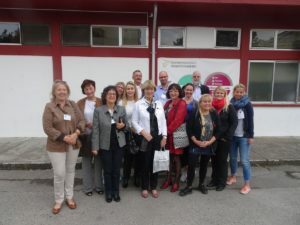 International Project Work, e-Twinning, Erasmus+, Unesco and other networks and Head teacher’s. Click on the links and you will find the presentations. You can find some impressions of our seminar on Twitter.